Fully Adjustable. Fits all handguns even with tactical lights. 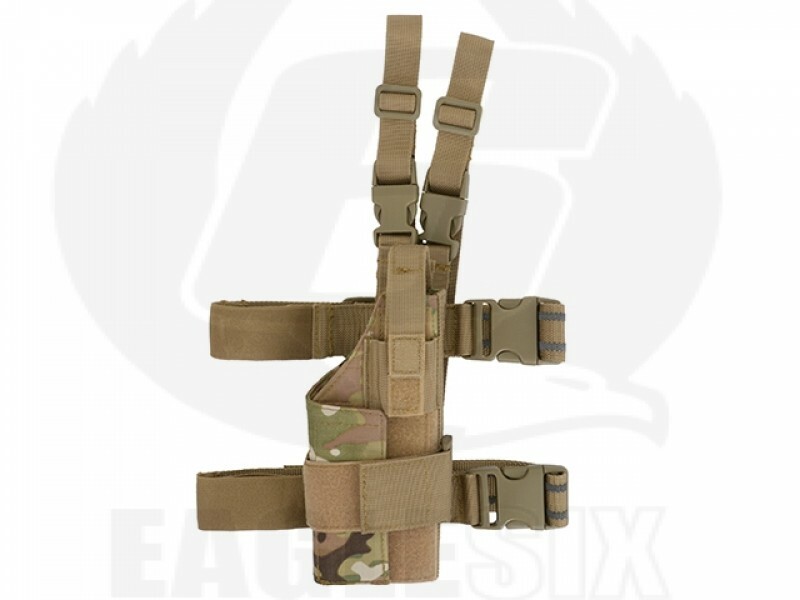 Fully adjustable leg straps with rubberized strips eliminate sliding and quick release buckles.